The 2019 Gaeltacht Courses for Hibernia College will be held in the Corca Dhuibhne Gaeltacht of West Kerry. 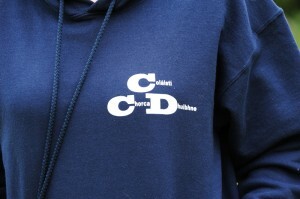 The courses will be hosted by the Irish Language and cultural organisations, Coláistí Chorca Dhuibhne/Oidhreacht Chorca Dhuibhne of Ballyferriter (www.colaiste.ie/www.oidhreacht.ie) while classes and afternoon/evening course activities will mostly be held in Pobalscoil Chorca Dhuibhne, An Gróbh, An Daingean/Dingle. Tionólfar Cúrsaí Gaeltachta Choláiste Hibernia i nGaeltacht Chorca Dhuibhne ar feadh coicíse. Fanfaidh mic léinn i lóistín le Bean an Tí laistiar den nDaingean agus beidh ranganna/ imeachtaí an chúrsa i bPobalscoil Chorca Dhuibhne sa Daingean. It is the responsibility of Coláistí Chorca Dhuibhne to organise Accommodation for all students so bookings must be made through Coláistí Chorca Dhuibhne only. In order to do this, we must have your co-operation and ask for your patience. As you are aware the group is very large and this is a community with limited human resources, so everything must be carefully planned and organised in order to avoid any confusion on Saturday 2nd July. Fé Choláistí Chorca Dhuibhne é lóistín a shocrú do gach mac léinn. Students will be advised of the location of their accommodation shortly before they come on the course and a request for the remainder of the Course Fee. No requests to share a room / house with named people will be permitted on arrival. You must indicate this choice and include all names on your application form. Consult with your friends and please check that the names correspond from form to form. Most houses run by Bean an Tí have four bedded rooms. There are a small number who will accommodate five or six in a room. Ensuite rooms are available in some houses but cannot be guaranteed. If you do not have a car for the journey to Pobalscoil Chorca Dhuibhne you may consider this when identifying the people with whom you will share a room/house. All accommodation and premises are non- smoking properties so please bear this in mind. No smoking is permitted inside or outside the property of Bean an Tí. Cancellation- Please note that accommodation is organised well in advance. Payment for shared accommodation cannot be refunded to students who withdraw from the Gaeltacht programme 4 weeks before commencement. All Properties of Mná Tí are of a good/high standard, as required by the Department of the Gaeltacht An Roinn Ealaíon, Oidhreachta agus Gaeltachta. Bed linen will be provided and the bed linen changed once during your stay. Bring your own extra towels if you wish. You do not need to bring anything else apart from what is mentioned. Laundry will be done by Bean an Tí. Breakfast, a packed lunch and an Evening Meal will be provided. Tea and coffee available for sale at morning break in Pobalscoil Chorca Dhuibhne. A sitting room is available for the use of the students in each house. While every effort will be made to satisfy each individual’s needs, it cannot be ensured that this will happen due to the large number of people to be catered for. Registration for the course will be held at Pobalscoil Chorca Dhuibhne on Saturday 2nd July from 12.00 – 3.00. For students who opt for Family Accommodation a list of suitable accommodation is available from Coláistí Chorca Dhuibhne on receipt of Accommodation Form. Nótaí a bhaineann le daoine a chur i dTithe na mBan Tí. Beifear ag lorg an dara cuid den táille agus beidh Ionad an Chúrsa (Ceann Trá nó An Mhinaird nó An Fheothanach) ag mic léinn tamall sara dtagann siad ar an gcúrsa. Ainmneofar Bean an Tí ag mic léinn ag an gclárú ar an 2ú Iúil. B. Ní cheadófar do mhac léinn ar bith roinnt le daoine nach bhfuil ainmnithe ar an bhFoirm Iarratais roimhré. Ceithre leaba don gcuid is mó atá sna seomraí ag Bean an Tí. Tá tigh nó dhó a thógfadh cúigear nó seisear sa seomra. Tá seomraí ensuite i gcuid de na tithe ach ní féidir é seo a gheallúint i ngach tigh. Tá spás páirceála difriúil ó thigh go tigh. Dein mar a chomhairlíonn Bean an Tí. Caithfear daoine gan charranna a chur i dtithe a bhfuil gluaisteáin ag daoine eile iontu toisc go mbeidh síob ag teastáil ó na daoine sin. Car parking space varies from property to property. Park as advised by Bean an Tí. Níl cead tobac a chaitheamh laistigh nó lasmuigh den tigh lóistín. Áit a chur ar ceal: Cuirfear lóistín in áirithint go luath agus ní sheolfar thar n-ais táille a díoladh don té a tharraingeoidh siar ón gcúrsa laistigh de mhí roimh thús an chúrsa. Tá na tithe lóistín ag na Mná Tí ar fad ar chaighdeán maith nó ar ardchaighdeán. Cuirfear éadaí leapan ar fáil. Tabhair tuáillí agus éadaí leapan breise leat, más mian leat. Ní ceart go mbeadh gá le ní ar bith eile. Déanfaidh Bean an Tí an níochán. Cuirfear Bricfeasta, Lón (pacáilte i gcomhair lár an lae) agus Dinnéar (sa tráthnóna) ar fáil. Beidh tae/caife ar díol ag sos na maidine sa Phoblascoil. Beidh seomra suite ar fáil do mhic léinn an tí. Cé go ndéanfar gach iarracht éileamh gach duine a shásamh, ní féidir a chinntiú go mbeifear in ann a leithéid a dhéanamh mar gheall ar an líon mhór daoine atá i gceist. Beidh Clárú don gCúrsa ar siúl i bPobalscoil Chorca Dhuibhne sa Daingean ar an Satharn an 2ú Iúil 2016 óna 12.00 – 3.00 (Cúrsa 1) agus ar an Domhnach, an 17ú Iúil (Cúrsa 2). Go raibh maith agat as do chomhoibriú.